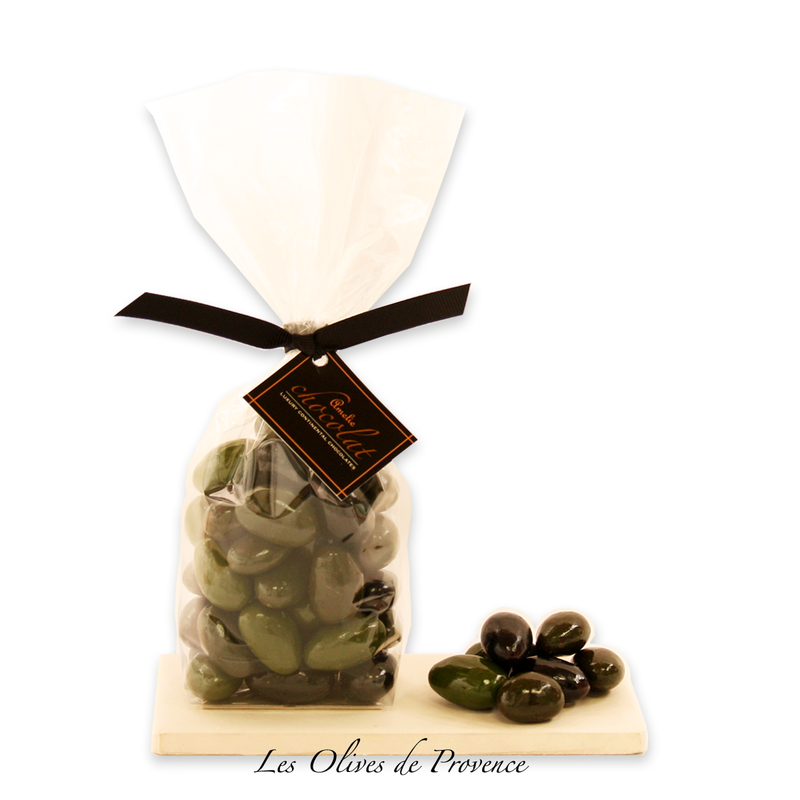 Click the button below to add the Les Olives de Provence to your wish list. Capture the essence of the Mediterranean with these stunning 'Olives de Provence', made from traditional family recipes that have passed down through generations. Plump fully roasted almonds are coated in semi bitter chocolate, followed by a layer of white chocolate glazed green and black to emulate the exquisite fruits of the Provencal region. Almost to good to eat, these deliciousy moreish almonds are great as a gift with a difference ... or try serving with cocktails to amaze your guests!